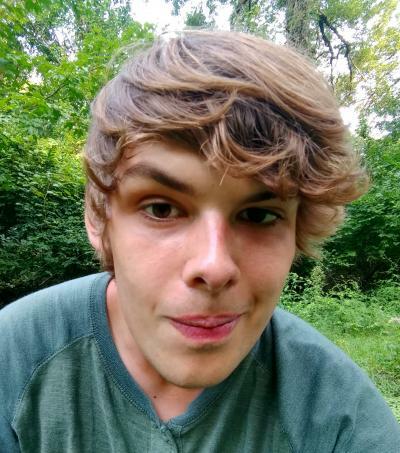 Alec Euken is an undergraduate research assistant with the ISU monarch butterfly research team. Euken, a native of Clear Lake, Iowa, is an avid photographer and a leader in the ISU Conservation Club where he currently holds the role of vice president and formerly served as the club's secretary. He captured the photo (above) and has worked with the monarch team in the field and in the lab since 2016! What did you enjoy the most about growing up in Iowa? Playing around my grandfather’s farm. Why did you choose Iowa State for college? Iowa State is where I was expecting to attend if there were degrees that interested me. Both of my parents are ISU alumni, so I figured it’s where I would go too. Why did you choose Animal Ecology for your major? Since I want to work in the field of wildlife conservation, animal ecology with wildlife as my option is a relevant major. I also became interested in pursuing an entomology minor after my first summer of interning with the monarch team and taking a few entomology courses. Why are you interested in the monarch butterfly? As I would be with other animals, I’m interested because monarchs are a species of conservation concern. Monarchs are iconic and familiar animals to people throughout North America, and I think it would be a shame if nothing was done to help them recover from their population decline. Please describe your internship experience with the monarch team. I’ll admit that a lot of the work I’ve helped with has been tedious and sometimes exhausting, but I value what I’ve done because it’s all toward a beneficial cause and it’s been good work experience. What's the most useful thing you learned as an intern? It’s hard to pick just one, but probably the technique I use for catching butterflies. And familiarity with the monarch’s life cycle and migration. How do you hope to apply what you have learned in the future? Whenever and wherever I can! How can Iowa farmers help the monarch butterfly? By using herbicides and insecticides sparingly or selectively, as well as avoiding mowing patches of milkweed and nectar sources -- if it's practical. 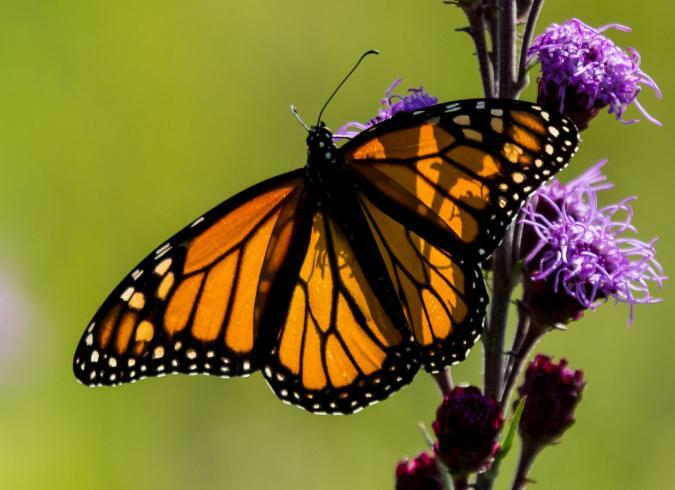 Any citizen of Iowa could plant a garden on their land with milkweed and other native plants that monarchs feed on, such as blazing stars, coneflowers, zinnias, asters, bergamots, sunflowers, etc.